I created this cake for my son’s turtle themed second birthday. 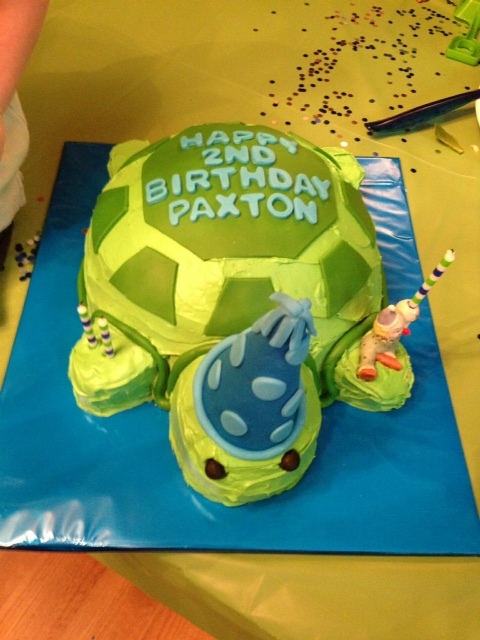 I used buttercream frosting for the main cake and then used fondant to define the turtle’s shell. I also used fondant to create a cute party hat for the turtle. The clown on the front right foot is a personal accessory that was used on my first birthday cake and that my family has used ever since, so you may see it on a few cakes! I could have easily used fondant on the entire cake, but I feel that if you don’t need fondant there is really no reason to use it. Here I felt that the naturalness of frosting was preferable to a more polished fondant look.